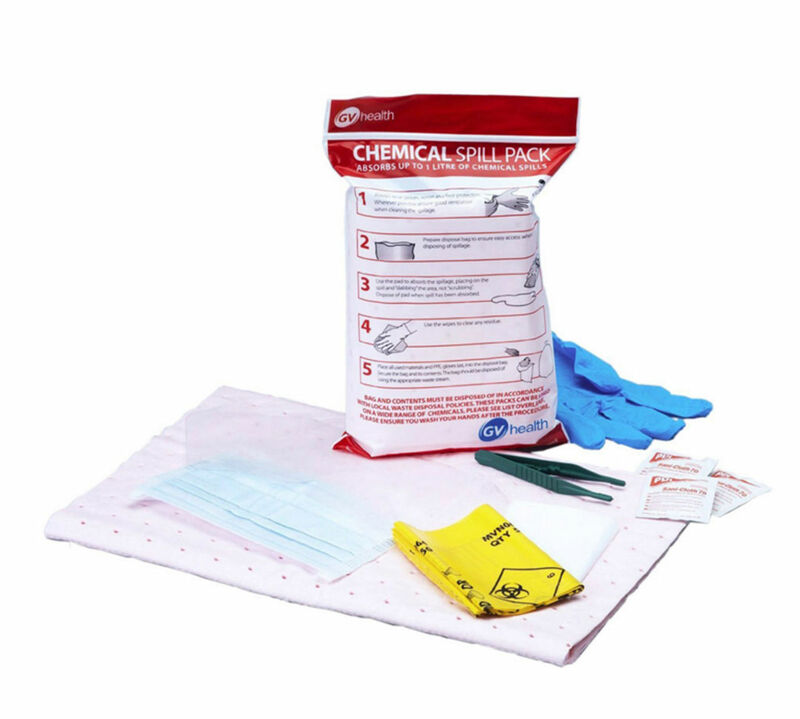 Single-use spill pack for protection against hazardous chemicals and contaminating fluids. Absorbs up to 1 litre of chemical spill. Safe, efficient cleaning of chemical spillages in laboratory environments. Pack achieves 'GOOD' rating (no visible swelling and degradation) for the following chemical spillages. The complete list is also shown on the reverse side of the pack.